It has been one year since the passing of Jon M. Huntsman Sr., the visionary philanthropist who started a movement that transformed the upper edge of the University of Utah into a state-of-the-art cancer campus. 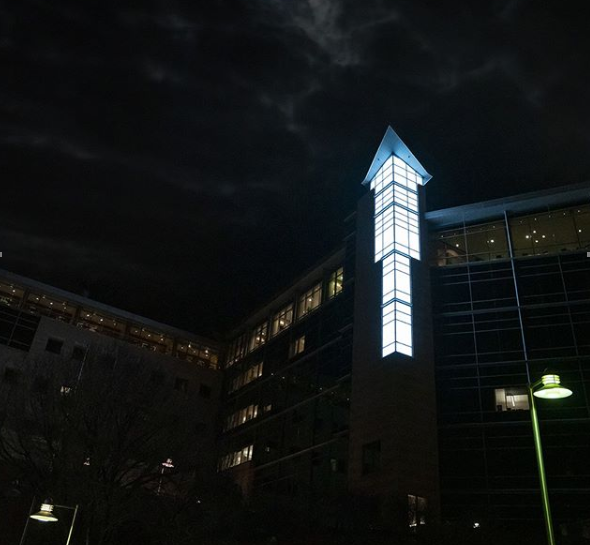 In his memory, a pillar of light could be seen emanating from the west side of the original HCI research building last night. The feature was originally Huntsman’s idea. As construction of the building was near conclusion in 1999, Huntsman envisioned a light originating from the cancer center that would reflect HCI’s commitment to push forward cancer research and provide exceptional patient care. The light became known as the Beacon of Hope. Due to limitations in technology available two decades ago, the feature was not continuously lit. Architectural Nexus designed a renovation for the beacon and construction began in January 2018. Over the past twelve months, further improvements were made to update the installation with energy-efficient lighting panels. The new Beacon of Hope has 61 individual lighting panels embedded with pixel LED lights, each with an operating life of 30 years. Today, the Beacon of Hope serves as a reminder that his vision lives on and will not stop until cancer is eradicated. 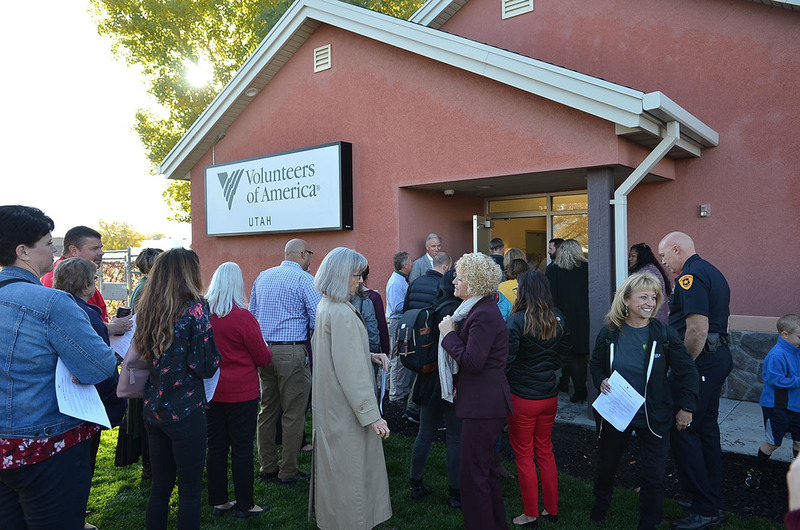 A new center designed by Arch Nexus for those who are experiencing homelessness opened this morning in Salt Lake City. The Volunteers of America Center for Women and Children offers women an opportunity to detoxify in a safe and supervised residential environment with their children. 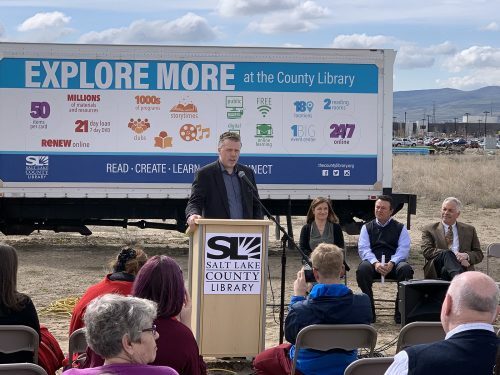 The Salt Lake City Center offers 32 new beds that will serve approximately 450 individuals annually. 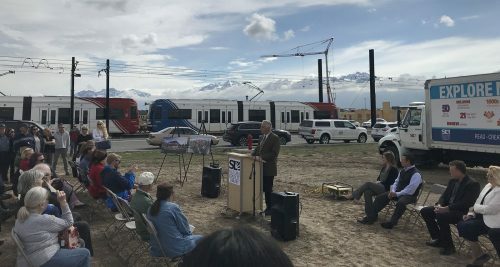 Salt Lake City and Salt Lake County leaders spoke at the event in support of the cause to aid those who will benefit from the new center. News: Arch Nexus Wins ENR Mountain States Awards! For 2018, ENR Mountain States has awarded two awards to projects designed by Arch Nexus. 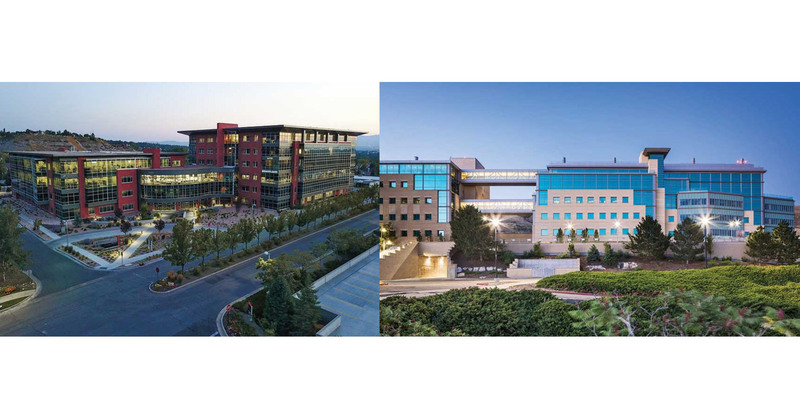 Primary Children’s & Families’ Research Center at Huntsman Cancer Institute received a Merit Award in the Higher Education/Research category and Cornerstone at Cottonwood Corporate Center, Phase Two won the Best Project Award in the Office/Retail/Mixed-Use Development Category. Both of these buildings represent many years of had work and collaboration among many stakeholders and we are very proud to have been involved in helping to bring these magnificent projects to reality. 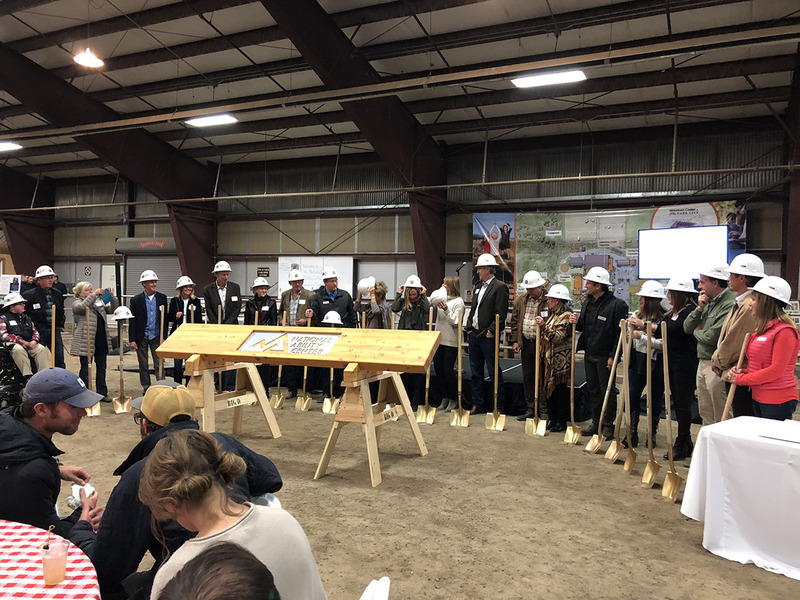 Last night, the National Ability Center in Park City, Utah hosted a ground breaking ceremony to commemorate the beginning of construction on an expansion of their facilities. 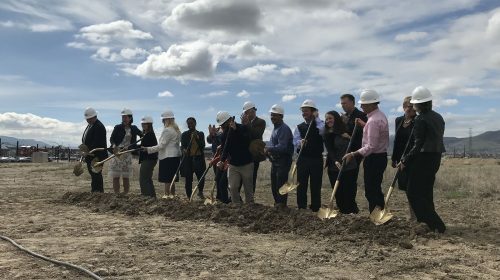 The existing Equestrian Center is being expanded to create flexible space for the arena to accommodate a wider array of events. This part of the campus will also include additional meeting, staff, and physical therapy space as well as a parent viewing area. Along with the expanded Equestrian Center, a new Recreation Center will be built. The Recreation Center includes an indoor, conditioned arena that will be able to be adapted for a variety of sports. The National Ability Center empowers individuals of all abilities by building self-esteem, confidence and lifetime skills through sport, recreation and educational programs. We are proud to be a part of helping further the mission of such an inspirational organization. 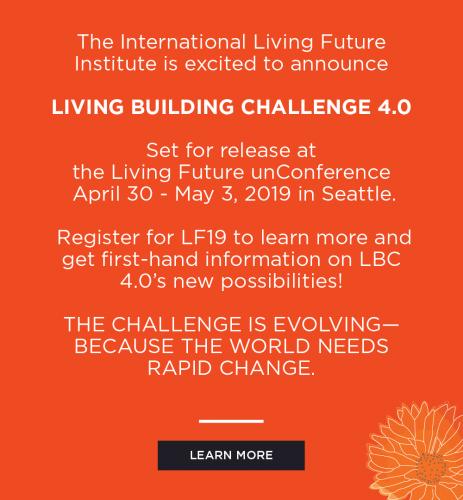 We are happy to announce that the first registration for a Living Building in Utah has been made! 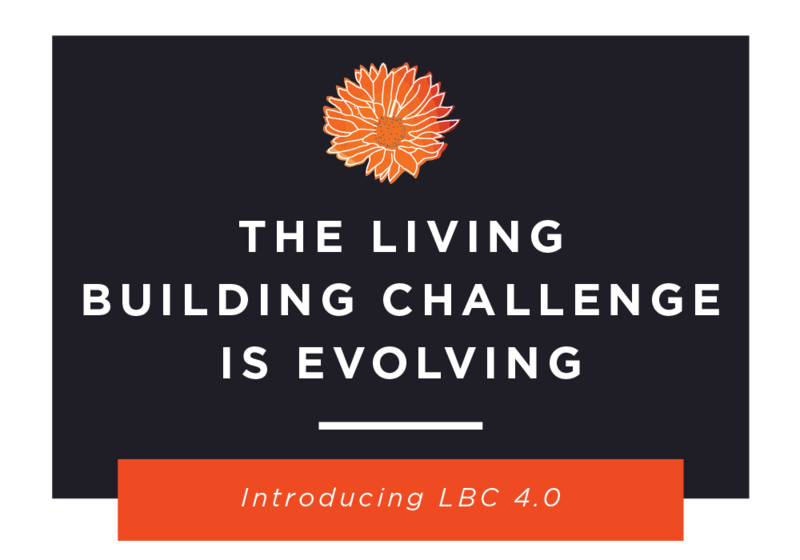 Community Rebuilds, a nonprofit organization, is endeavoring to construct the first series of Living Buildings in Moab, Utah. 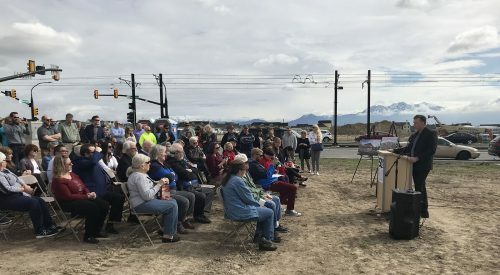 The mission of Community Rebuilds, is to build energy efficient housing as well as provide education on sustainability, and improve the housing conditions of the workforce through an affordable program. 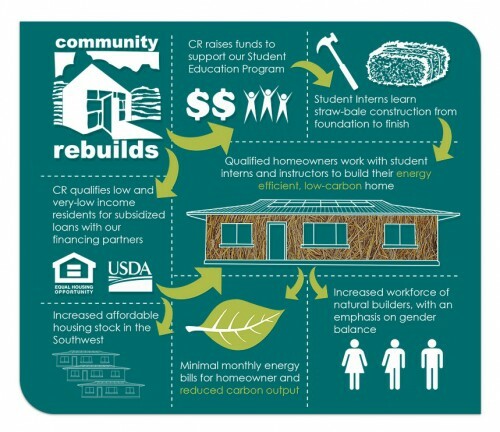 As a licensed general contractor in Utah and Colorado, Community Rebuilds constructs affordable and energy efficient straw bale homes, working with and training a dedicated group of student intern volunteers on each home project. 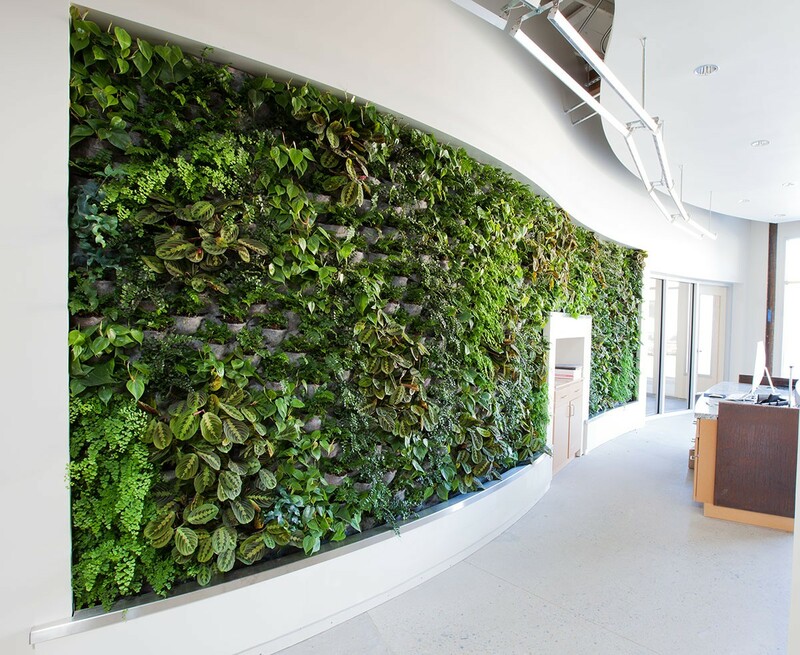 These students are young emerging professionals with the desire to participate in an experiential program as they learn how to build low carbon, modern natural buildings. For more information on this amazing program please visit the Community Rebuilds website here. 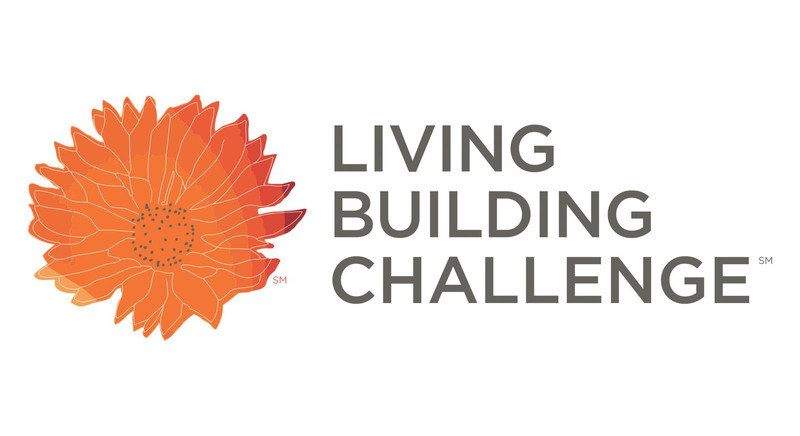 Wish us luck as we begin this journey together with Community Rebuilds to create the first Living Buildings in Utah!